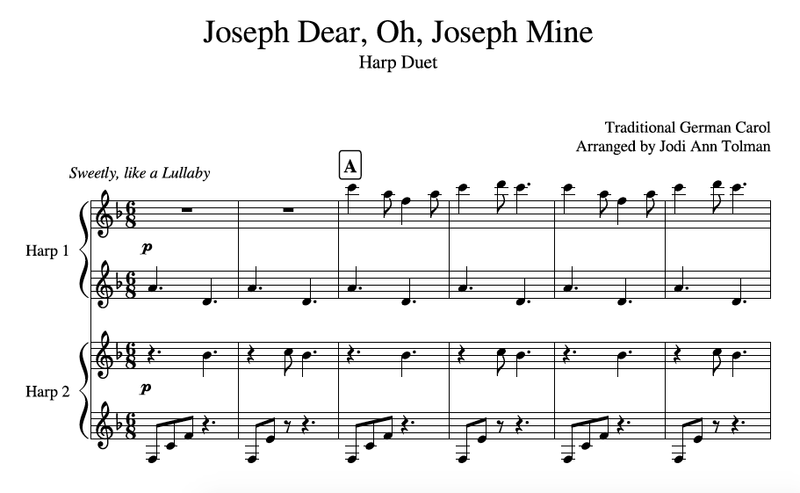 This beautiful Christmas lullaby is written for two harps or a small harp ensemble. It makes a perfect addition to any Christmas repertoire. Written simply, this piece is easily accessible for even beginner harpists.